Manila, Philippines, 10th May 2013 – ZALORA Philippines, one of the country’s fastest growing online fashion stores, has continued to prove its success as they begin the countdown to their one millionth customers. To celebrate this milestone, the company is launching a “Countdown to 1 Million Orders” campaign to thank its increasing customer base. Starting May 9, 2013, ZALORA began its countdown to their one millionth order in the region. In line with this, a “Countdown to 1 Million Orders” campaign will be launched to express the company’s gratitude for the support their customers has given them since the start of the company. The first customer after the announcement of the one million orders will be named the winner of the campaign and he/she receive his/her order for free. Of course, the prize does not stop there. In addition, he/she will receive two all-access passes to Philippine Fashion Week which will be held this May. With a little over a year since it first started operations, ZALORA Philippines already offers over 30,000 products from 1000 top local and international brands to address their diverse consumers’ demand. It has continued to rapidly penetrate the market through creating innovative ways to make their customers’ shopping experience more convenient. On February of this year, ZALORA developed their mobile site, which brought the online shopping experience in the country to a whole new level. It provided greater accessibility to the Filipinos nationwide. And just last month, ZALORA launched its very own iOS app for an easier shopping experience. On the same date of its release, it became the no. 1 Lifestyle App in the country and continues to be in the top 10 of the list as of this date. 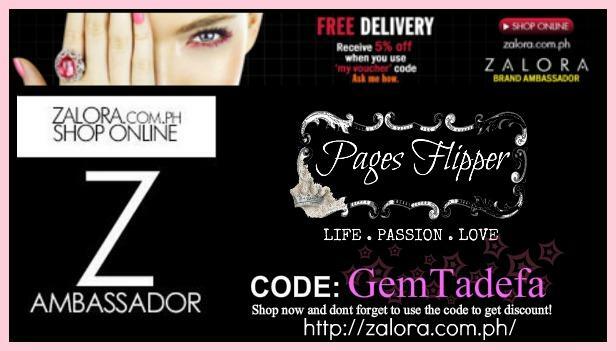 Shop only at Zalora Philippines and get an instant discount when you use the voucher code below upon checking out. So, what are you waiting for? Shop now!